This month I’ll be showing you how to paint a selection of the models that come with Cool Mini or Not’s Blood Rage, a game set during Ragnarok, with various Viking clans fighting for glory to earn their place in Valhalla. 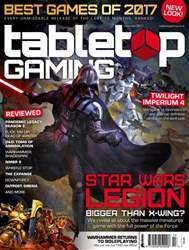 Alongside the Vikings comes a healthy dose of Norse mythology in the form of gods and monsters, and it is these creatures that I’ll be focusing on in this month’s guide. 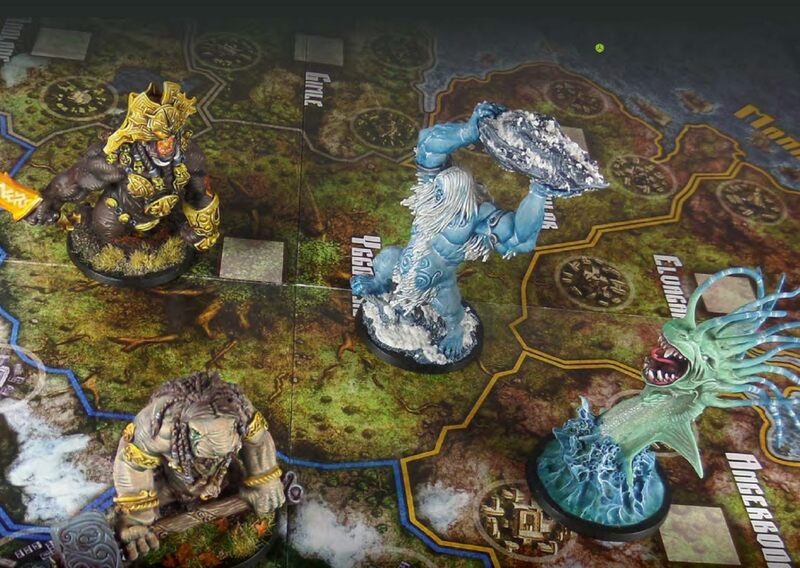 The four largest models in the box – the frost giant, fire giant, troll and sea serpent – tower over the rest of the models and look amazing painted up for your games night. The sculpts perfectly capture the essence of the artwork that created them and, much like our last guide for Scythe, this game has had its universe created through the work of a renowned artist. Adrian Smith has managed to create a beautiful vision of the Vikings’ end of the world and the use of a single artist really ties that world together. The models that come with the game add to that unifying feel. Each one feels like it is pulled straight from the artwork which, if you want to keep to the theme, provides a fantastic painting guide in and of itself. While the whole selection of models found within the Blood Rage box look exceptional, it is these giant creatures that really catch your eye. Painting them up will add a special element to the game, with every player vying for an allegiance with these beasts.